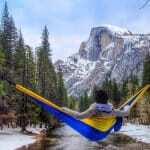 We at Serac love Yosemite National Park. It’s our favorite national park. With 4 million visitors a year, the stunning granite landscape has captivated people for generations. For those on a budget, the cost of paid campgrounds can add up, especially if you’re planning a long trip to the park. Luckily, there are a number of free campgrounds located in Stanislaus, Sierra, Eldorado, Sequoia and Inyo National Forests. These forests border Yosemite as well as providing unique and stunning scenery of its own for adventurers to explore. 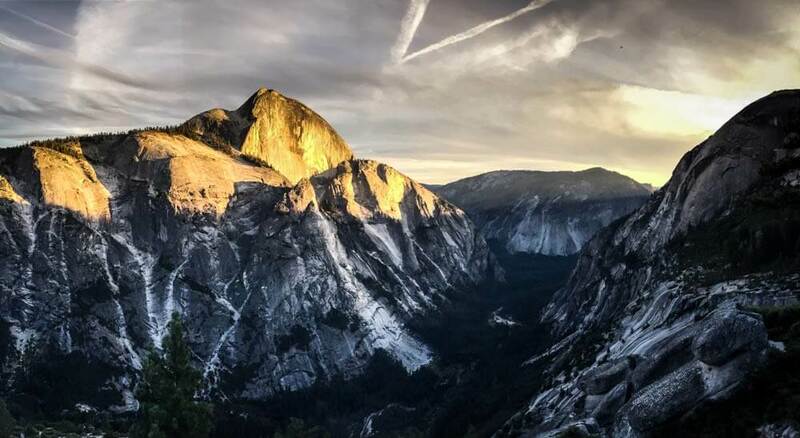 Here are the 10 best free campsites near Yosemite. Lumsden Campground is a low elevation campground surrounded by forests of pine and oak. A drive-in campground, the Lumsden Campground is next to the Tuolumne Wild & Scenic River just off the side of Forest Route 1N01. It is the first campground encountered along Forest Route 1N01 and followed by South Fork Campground and Lumsden Bridge Campground. The Tuolumne River provides access to untreated drinking water as well as fishing and boating. Lumsden Campground is open year round on a first come – first served basis. Each campsite has a picnic table and a campfire pit with a grill. The campground also has a vault toilet for campers, but no Drinking water. Treating the river water before drinking is recommended. From Groveland, travel 7.5 miles east towards Ferretti Road and make a left (north) onto Ferretti Road. Travel 1 mile and turn right (east) onto Lumsden Road/Forest Route 1N01. Travel for approximately 5 miles until you reach the campground on the left side of the road. Not recommended for trailers or RVs. Camp in designated sites only. The number of people allowed in a single campsite is 6. The maximum length of stay in any campground is 14 days. Campfire permits are not required in developed campgrounds with provided fire rings. Do not burn plastic or metal. Please leave the area in as good (or better) condition than you found it. Practice proper food storage. Never leave food unattended in camp. Use bear boxes when available. Food should be stored in airtight containers in the trunk of your vehicle. Dispose of all trash properly. This is a “Pack it in, pack it out” facility. South Fork Campground is a low elevation campground surrounded by forests of pine and oak. A drive-in campground, the South Fork Campground is next to the Tuolumne Wild & Scenic River just off the side of Forest Route 1N01. It is the second campground encountered along Forest Route 1N01 and following Lumsden Campground and followed by Lumsden Bridge Campground. The Tuolumne River provides access to untreated drinking water as well as fishing and boating. South Fork Campground is open year round on a first come – first served basis. From Groveland, travel 7.5 miles east towards Ferretti Road and make a left (north) onto Ferretti Road. Travel 1 mile and turn right (east) onto Lumsden Road/Forest Route 1N01. Travel for approximately 6 miles until you reach the campground on the left side of the road. Cherry Lake is the largest lake in Stanislaus National Forest. Open year-round, visitors can enjoy hiking, fishing, boating and swimming. Camping is permitted around the lake at least 100 feet away from the high water mark. No Drinking water, treating lake water is recommended before drinking. Road access may be subject to closure in the winter depending on conditions. Coming from the Groveland District Office (24545 Highway 120, Groveland, CA 95321) head east on Highway 120 for approximately 5 miles. Turn left onto Cherry Lake Road and follow this road for 20 miles until you reach Cherry Lake. Campfire permit required for fires. Camp at least 100 feet away from the high water mark. Please leave the area in as good (or better) condition than you found it. Use bear canisters to store all food and trash. This is “Pack it in, pack it out” facility. Lumsden Bridge Campground is a low elevation campground surrounded by forests of pine and oak. A drive-in campground, the Lumsden Bridge Campground is located off the side of Forest Route 1N01. It is the third campground encountered along Forest Route 1N01, following Lumsden Campground and South Fork campground. The Tuolumne River provides access to untreated drinking water as well as fishing and boating. Lumsden Bridge Campground is open year-round on a first come – first served basis. While traveling along CA- 120/Main St. turn onto Ferretti Rd. Drive for about 1.1mi and take a right at the fork onto Forest Rte. 1N10. Drive another 6.6 miles until you reach Lumsden Bridge. Cross the bridge and turn left into the campground. A lightly used campground surrounded by cedar and pines. 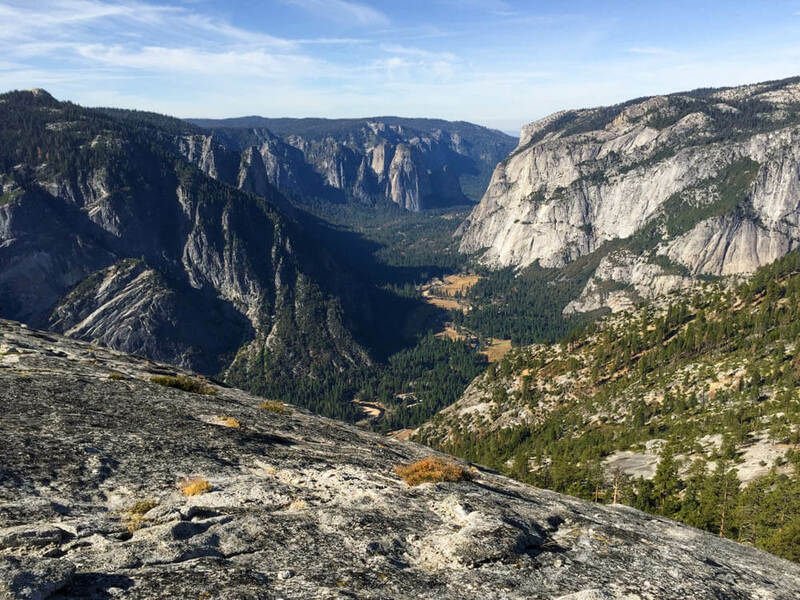 Jerseydale Campground is located close to Yosemite National Park, the 10 campsites are spacious and can accommodate RVs and trailers. Horses are welcome and the campground sports hitching posts for your equestrian needs. 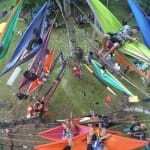 Campsites are located on a slope and good sites for tents is limited. 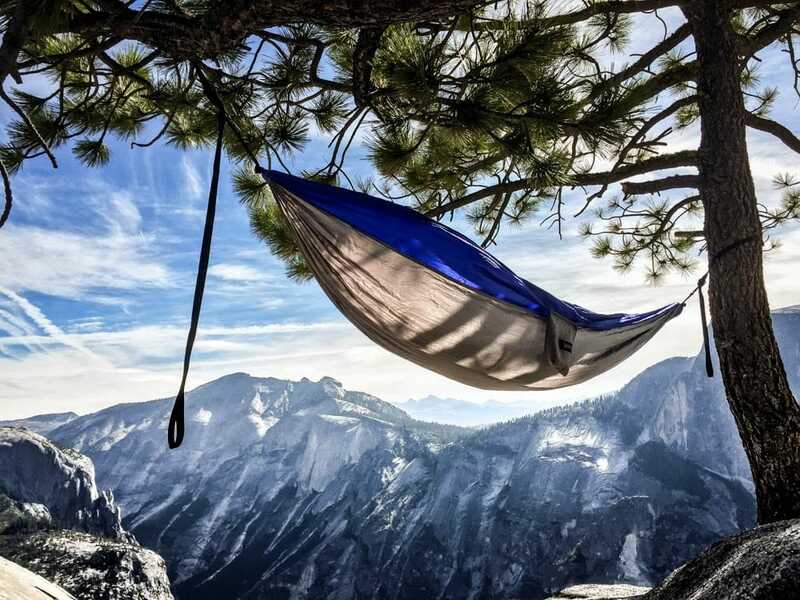 However, plenty of trees are available if you are hammock camping. Traveling North on Highway 41, in Oakhurst turn left onto Highway 49, travel 15 miles to Triangle Road, turn right and travel 3 miles to the intersection of Triangle Road and East Westfall Road, bear left on Triangle Road, travel 2.1 miles to Jerseydale Road, turn right, travel 2.2 miles, turn left on forest road 4S82, just past Jerseydale Fire Station to the entrance of the campground. From Mariposa (at intersection of Highway 49 & 140) travel east 5.2 miles to Darrah Road, turn left and travel 4.9 miles to the junction of Darrah and Triangle Road. Stay straight ahead (Darrah will become Jerseydale road) Continue 2.2 miles, turn left on forest road 4S82 just past Jerseydale Fire Station to the entrance of the campground. Camp in designated sites only. The number of people allowed in a single campsite is 6. The maximum length of stay in any campground is 14 days. Campfire permits are not required in developed campgrounds with provided fire rings. Do not burn plastic or metal. Please leave the area in as good (or better) condition than you found it. Practice proper food storage. Never leave food unattended in camp. Use bear boxes when available. Food should be stored in airtight containers in the trunk of your vehicle. Dispose of all trash properly. This is a “Pack it in, pack it out” facility. Redinger Campground is a primitive camping area located next to Redinger Lake. The campground is surrounded by grey pine, chaparral and oak trees. Drinking from the lake is not recommended, so try to bring your own drinking water. The lake provides excellent swimming and fishing for campers to beat the heat. There is only a single designated campsite and campfire permits are required at all times. To reach Redinger Campground, take Highway 41, turn right onto Road 200 and travel to North Fork. Continue east for 4.3 miles and turn right onto Road 225 (Italian Bar). Travel another 3.8 miles and turn right onto Road 235. Then travel 2.1 miles until you reach the campground on Redinger Lake. This campground is tucked away in a tranquil section on the east fork of Chiquito Creek. 20 sites shaded by plenty of trees await both tent campers and medium sized RVs. Granite swim holes can be found nearby for those intrepid enough to brave the icy waters. Fall asleep next to the bubbling of the creek and get up early for breakfast of fresh caught rainbows. Take Hwy 41 north from Fresno; continue thru Oakhurst to Road 222. Turn right on Road 222; travel approximately 5 miles to the Beasore Road, turn left and continue north on Beasore Road (5S07) approximately 15 miles, turn left at sign to campground. Nestled between June Mountain and Obsidian Dome, Hartley Springs campground boasts 25 scenic campsites. While more basic, Hartley Springs receives less traffic than some of its neighboring campgrounds. You’ll want to bring your own water and bear canisters since the sites have neither water nor bear lockers. The road is a bit rough on the way in, but it’s not a far drive from the highway. This campground also has access to Obsidian Dome. Make a trek out to Glass Creek, explore June Mountain or check out Wilson Butte. There’s plenty to do out here! From US 395 north of Mammoth Lakes, go west on Obsidian Dome Road, then north on Forest Road 2S48 until you reach the campground. Alternatively, from US 395 north, turn left (west) onto Hartley Springs Rd. Stay on the road for 1.5 miles until you reach the campground. Bring your own water. Self register when you arrive, no reservations. 14 day stay limit. This is Bear Country. Please store food properly and don’t feed the bears. Bear boxes are not provided at Hartley Springs campground, so bring bear canisters. Do not store food in your vehicle. Just north of Mammoth Lakes is Glass Creek Campground. This large campground has a grand total of 66 large campsites. Although there are no RV hook ups, the sites are spacious enough to accommodate RVs and trailers as long as 45 feet. With its excellent location, large sites and free pricing, Glass Creek Campground is very busy and not for those looking for solitude. However, Glass Creek makes for an excellent base to explore the Owens River and hike out to Obsidian Dome. From Mammoth Lakes, head north on US-395. Turn right onto Glass Creek Road and the campground will be right off the exit. Glass Creek Campground is open summer-fall. The maximum RV length is 45′. You may stay 21 day stay limit at Glass Creek Campground. Bring your own water. 21 day stay limit. Self register when you arrive, no reservations. This is Bear Country. Please store food properly and don’t feed the wildlife. A rustic campground nestled in a forest of pine. Big Springs Campground has 26 scenic campsites for campers to use as a basecamp for a plethora of activities. Spend some time fishing for trout in nearby Deadman Creek, hike the impressive Obsidian Dome or take your 4×4 for some off-highway adventuring in the Lookout Mountain area. Big Springs Campground sees a lot of traffic so it may not be as secluded as other campgrounds, but it makes up for it in the number of campsites and the vast number of things to do nearby. From US 395 north of Mammoth Lake, go east on Owens River Road. Drive for 2 miles until you reach the campground on your left. Bring your own water. Sites are self register when you arrive, no reservations. 21 day stay limit. This is Bear Country. Please store food properly and don’t feed the bears. Bear boxes are not provided at Deadman Creek campground, so bring bear canisters. Do not store food in your vehicle. 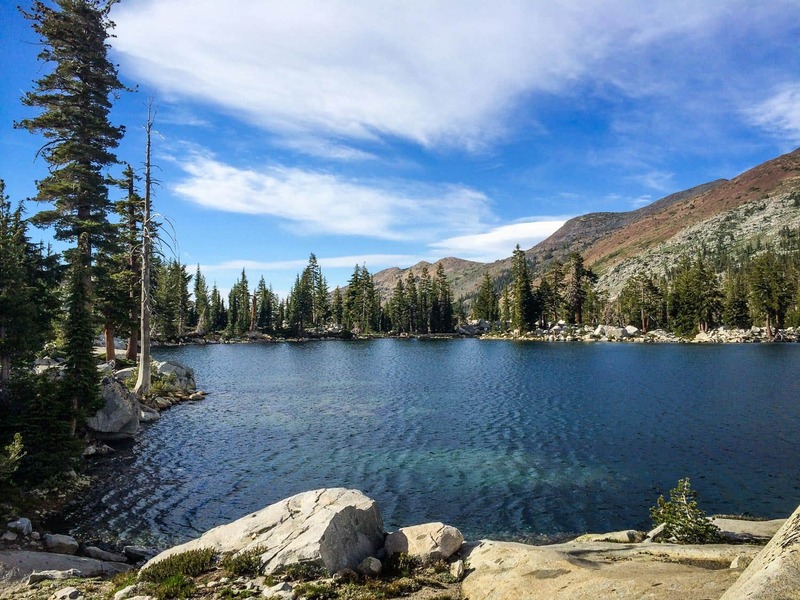 We’ve uncovered 48 of the most stunning & FREE campsites of the Southern Sierra Nevada’s. To get this campground guide for free, just click below! 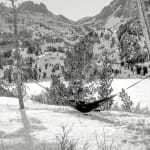 This entry was posted in Camping, Tips and tagged campground, campsites, el dorado, Free, inyo, national park, sequoia, sierra nevada, stanislaus, yosemite. I visited Lumdsen Campground just last weekend and it was beautiful!! Lumsden Campground 1n10 and South Fork Campground 1n10 are closed down. I have no idea when its returning. Looks like construction is happening there. Ask a park rangee before going. Visited in person May 1, 2017. Help keep this page up to date.